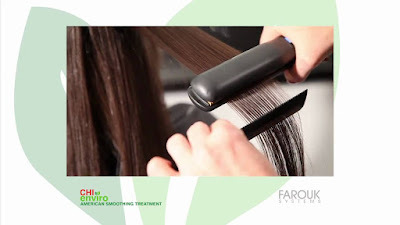 Chi Enviro "American Smoothing Treatment"
Chi Enviro is a revolutionary safe alternative to traditional harsh straightening systems. This treatment infuses the hair with a unique formula of amino acids, proteins, silk and pearl into the hair cuticle. It eliminates 95% of frizz while making your hair more manageable, and instantly add shine, silkiness to the condition of the hair. "Results last up to 4 months." This is a one-hour hair salon service that reduces frizz, curl, and style time, giving your hair a smoother, silkier texture. The effect lasts up to 6 weeks and can be shampooed after 8 hours. This amazing treatment is added to any hair color (or just as a stand alone treatment) it will reform the bond in the hair, eliminating breakage and minimizing damage to the hair. 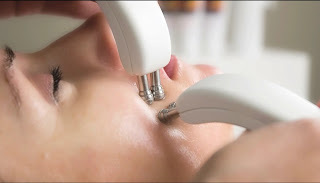 Dermabrasion treatment is an anti-aging treatment to help regenerate and revitalize scalp skin through exfoliation. "Acting like a facial for the scalp." Eyelash tint will enhance the general appearance of your eyes. Great for people with sensitivity to make-up "No Mascara Smudges. It's the perfect alternative to daily mascara. This application will take your eyes from boring to va-va-voom! to achieve age defying results, the Bio-Ultimate offers treatments that dramatically diminish the appearance of fine lines and wrinkles, improves skin tone and elasticity, and offers outstanding product penetration for refreshed and supple skin.